Imagine this: You own a cafe and lately you have started encountering a greater footfall. You may have customers like the first time 'hungry' visitors, your regular ones who love you no matter what, ‘Anton Ego’ class food critics (refer: Ratatouille), referrals and more. Do they expect the same service from you? Your regular ones expect you to recognize them and surprise them with loyalty cards and discounts, so that they feel more valued and delighted. The critics would wish for a 'no-nonsense' service that incorporates every element-right from aesthetics to food to service in place. And so on. How will you recognize every different customer and their needs? Do you have any mechanism for that? Just think of one thing which is going to help you with understanding every customer better. Well for us, it’s got to be customer information! Out of all the listed options, live chat helps to grab relevant customer information that helps the organization improve customer satisfaction rate. Besides these, live chat software has other benefits that are discussed below. Hiring too many support operators can become an expensive deal for any organization. But this changes with the addition of live support chat tool. Telus International, in one of its studies, found that a single support operator can manage and provide support hassle-free to 6 customers via chat. However, the figure is bound to change on the complexity of the query put forward by the customer. First-time buyers tend to be skeptical while purchasing a product from any seller. They are bound to raise questions about the quality and overall performance of the product. However, such questions can be put to rest if you have a live chat tool added to your website. Communicating with your customers in real-time and helping them receive answers to their queries faster build a trust amidst buyers that further boost brand value. In fact, a study “Cross-Channel Commerce - A Consumer Research Study” by ATG (now acquired by Oracle) claims that around 90% customers feel assured with live chat button on the site. It gives them the confidence to ask for help in case they feel they have questions related to a product and receive it in real-time effectively. … and more. With these and many other useful features, even customers prefer using live chat tool to communicate with an organization and get their queries resolved faster. 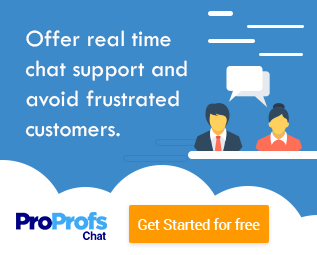 A study “Customer Service Benchmark” by eDigital indicates that a live chat software successfully attains the highest customer satisfaction rate that is 73% in comparison to other support channels. Improving overall sales and conversion rates. Read more about the benefits of adding live chat to your website. But attaining these benefits would require you to not just get customer information but also store it for future reference. And it’s not possible for a live chat tool to manage the “getting and storing information process” all by itself. It needs support too. So what’s better than a Live Chat Integration with MS Dynamics to help you store your customers’ details in an organized manner. Beside data storage, there are other reasons why businesses should go for live chat MS Dynamics integration . The better you know your customers, the better is your support service. By adding a powerful integration like MS Dynamics CRM, it becomes easy for your support operators to store customer’s information and build their profiles. In fact, all information gathered by live chat gets stored to the customer’s profile in the CRM platform. So when the same customers return to your site with new queries, your support operators can easily communicate with them while accessing their stored information in the profile. It simply means that the same customers on their arrival to your site don’t have to re-introduce themselves and repeat their queries to your support operators. Key Takeaway: Your support operators will provide the most required ‘precise’ support to your customers, thus improving the satisfaction rate. Microsoft CRM integration with chat also allows an organization to store chat transcripts to the customer’s profile for future reference. And, access to complete chat history becomes useful for support operators. How? Let’s understand below. For example: You come across a customer who claims that one of your customer support operators offered a product discount that is yet to be received. This is where you realize that without getting to see the conversation between the customer and chat operator, you cannot proceed further. This may enrage the customer further and you may land with a bad review at the end of the day. But that is only going to happen if you’ve not integrated your live chat with a CRM platform like MS Dynamics. With the integration, you can visit the customer’s profile and read the complete conversation. 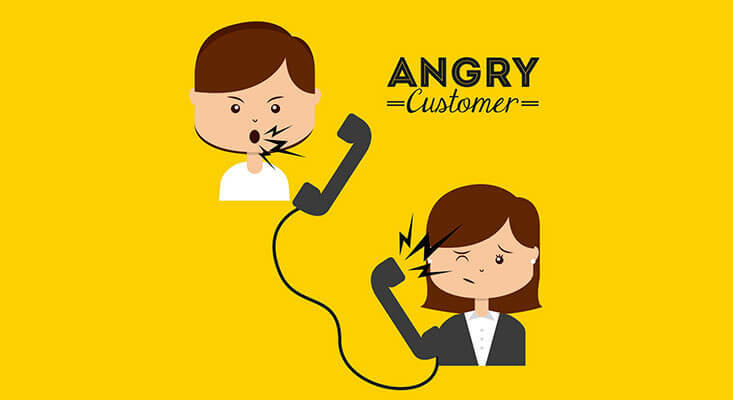 Accordingly, you can deal with the customer’s complaints or queries. Key Takeaway: Your support operators can provide a delightful and satisfying customer experience only if they have access to complete chat history. Therefore, adding integration to your live chat software will simplify your operator’s job and know the customers better. Also, you can identify the problem areas and train your customer support operators accordingly for better customer experience. A business has many customer expectations to stand up to, one of them being personalized support. But that is only possible if you have all the data related to one customer stored at one place. Whether it is chat transcripts, expenditures of a customer, or offline messages, such information can help chat operators know their customers, their requirements, buying patterns and more better. Such aspects further help to provide better support experience that gets personalized according to the needs of the customer. Factors that helped to complete a sale. Key Takeaway: Customer-centric insights help to boost overall conversions on a website. Moreover, you see a happy customer that is satisfied with the personalized support received through your operators. Customers also feel valued. Every contact is a potential customer. Will your operators not try to woo these visitors so that they can transform into actual customers? Well, to let go any visitor is actually equivalent to losing a potential customer to your competitors. You contact them, understand their requirements proactively and offer them the most useful suggestions. But that is only possible if your live chat is integrated with a CRM platform. It is also one of the common benefits of CRM integration that you can contact site visitors later, keeping their pain points in mind and initiating a conversation with them. Key Takeaway: Keeping a track of all leads and getting in touch with them become simpler with the integration of CRM platform to your chat tool. After all, every lead is a potential customer which you cannot afford to lose. The only way you can market your brand better is by learning more about the customers or site visitors through your database. With CRM integration, it becomes a simple task. Once a lead’s information is stored in your CRM software, you get to know their pain points better. As you understand them better, marketing your products in the same light helps you boost your sales. You can sell the right product to the right customer at the right time. Key Takeaway: Marketing your brand requires a lot of inputs, customer information being one of the pivotal aspects. And getting information isn’t that tough if your live chat is integrated with a CRM platform like MS Dynamics. With correct information, you can send in targeted newsletters and other product updates to market your brand better and attain improved sales rate. No business can take its customers and their queries lightly. That’s why to know them better and understand their queries in a hassle-free manner, you need a tool in place that not only helps you gather information but also secure it for future reference. More happy and delighted the customers are, higher is the customer satisfaction rate. To stay ahead of your competitors, it is high time that you add a powerful CRM integration to improve better customer support experience.